Mercaris is pleased to announce the launch of our online organic & non-GMO price survey. Beginning June 3, pre-approved first purchasers of corn, soybeans and wheat will be able to log in and upload cash market trade data. Our survey participants will receive the added benefit of early access to Mercaris reports on grain trades in the U.S. and Canada. Later this year, we’ll begin making regionally specific price data available via our Ceres pricing tool. Contact us for more information! It’s been a busy week in agricultural policy as the U.S. House and Senate work to pass the 2013 Farm Bill. Organic Agriculture has featured prominently in the legislation and in the debate. 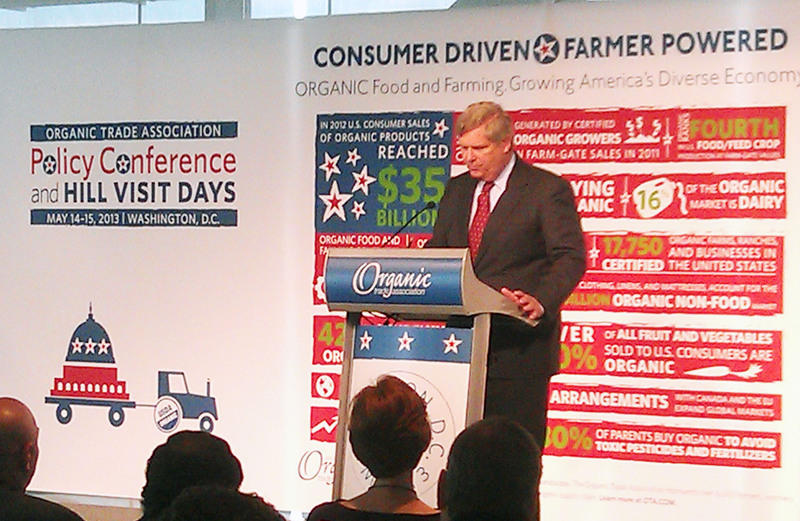 While we won’t know the final outcome for a few weeks, USDA Secretary Tom Vilsack made an historic announcement about the support the organic agricultural sector can expect from the Department. Some of the most sweeping changes concern the availability and cost of crop insurance for organic producers. Read the announcement here. This month Mercaris welcomes our newest team member, Cinch Munson. Cinch is our Director of Market Operations and he’ll be leading our preparation for the Mercaris electronic trading platform, to launch later this year, amongst other things. 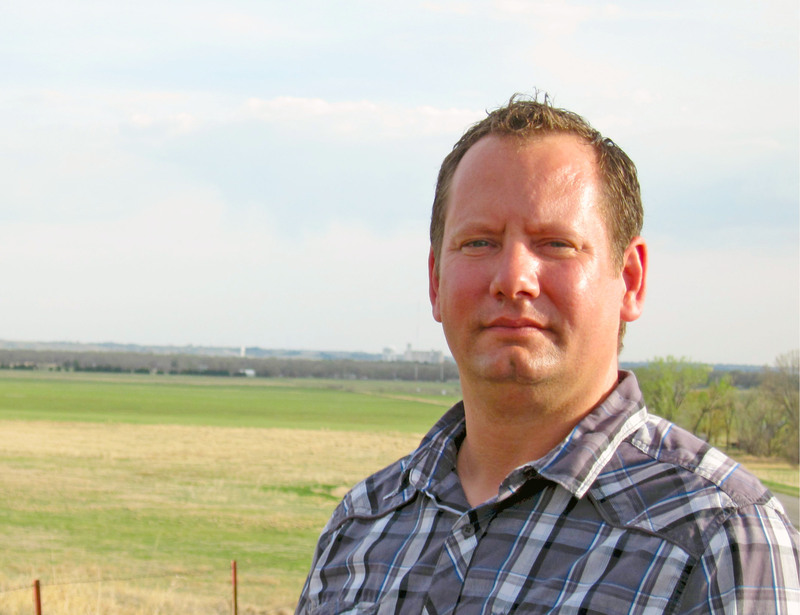 Cinch grew up on a cattle ranch and hay farm in the Nebraska Sandhills. He has a real appreciation for, and experience with, agriculture-related start-ups and supply chain management. He's worked on issues as varied as providing marketing advice to producers and developing traceability solutions for specialty ingredients. Whether you’re a grower, elevator, or manufacturer, keep an eye out for Cinch; he'll be visiting many of you in the coming months. Or, you can contact him directly, particularly if you’re interested in taking part in our upcoming auctions. You can read more about him in the interview below and on our website. You’ve worked for a a few start-up companies in the agricultural sector; what about this work is most compelling to you? I’m going to step back in time just a little bit here. I grew up on the family ranch in the beautiful Nebraska Sandhills. We were 25 miles from the town where I went to school and 50 miles from the nearest “city” with a stoplight and a department store. Because we couldn’t easily run to the store to purchase a solution to a crisis, creativity and innovation were necessities. This is the situation for many folks in rural areas. So, reason number one is that there are a lot of creative people in the agriculture sector and this makes it a fun arena for new initiatives. After graduating at the top of my high school class (so what if it was a class of eighteen students? ), I headed east to the big city to attend the University of Nebraska-Lincoln (Go Huskers!) and then pointed my wagon westward to Colorado State University (Go Rams?!) for my graduate degree. After graduation, I worked as a commodity market analyst for a year before joining a startup focused on developing supply chain management and traceability solutions for global agri-food supply chains. In my early career I realized there were immense opportunities in agriculture. So reason number two is that the agricultural sector is fertile ground for opportunity and good, new ideas. Finally, and perhaps most importantly, the agricultural sector is so extremely important. I could go on and on about the reasons why, but that isn’t really necessary because the fact is that agriculture is the foundation of civilization and our society. I have been honored to spend my life in this industry. What are you most looking forward to during your early days at Mercaris? I am very excited about the opportunity to join Mercaris and to bring a valuable new service to the agricultural sector. I’m drawn to innovation and creating value with new ideas, and I am really looking forward to meeting with Mercaris’s customers, potential customers, and partners to learn more about their businesses and to work together to create value. You’ve worked on sourcing and supply chain issues from many angles. What are some emerging trends you see? What are the unique challenges of sourcing or supplying identity-preserved materials and ingredients? These are exciting times, and the trends, challenges, and opportunities facing the agricultural industry are similar to those in many industries today. I’m going to go back in time again. From about 1900 to 1920, society changed dramatically because of a new technology–the automobile. The invention of the automobile changed the way people lived and created a shift from an agrarian society to an industrial society. Right now, we are in the middle of another seismic shift-- to an information economy and society. As we go through this transition, the prospects are great for those who recognize and take advantage of the opportunities. What we are seeing now is that technologies built on the Internet are creating greater connectivity so that individuals and small organizations can have a greater influence and even create markets using these technologies. What I find exciting about this transition to a more connected economy is that participants of all sizes can be successful if they take advantage of the opportunities it provides. Now to try to answer the questions asked (someone once told me to not let the question get in the way of the answer) the trends and opportunities I’m seeing are that customers throughout the supply chain have a stronger position than ever and suppliers have a great opportunity to connect with potential customers; and this is all driven by technology. Plus, the availability of information to all stakeholders in supply chains allows everyone to benefit. And now for the inevitable plug…the solutions Mercaris is bringing to the premium, identity-preserved markets help make this all happen. View the live stream on May 22nd here.